← Shahi Paneer Recipe – The Low-Cal version! When you loooooove chocolate and have always baked anything and everything with chocolate in it, it is tough to find a recipe that doesn’t have chocolate. But then again, maybe you keep looking for those recipes that have chocolate in them! My aunt gave me a book titled ‘Best Ever Cookie Book’ by Hilarie Walden and I decided to try and find a recipe that did not have chocolate and needed only one egg since I only had one egg in the fridge. 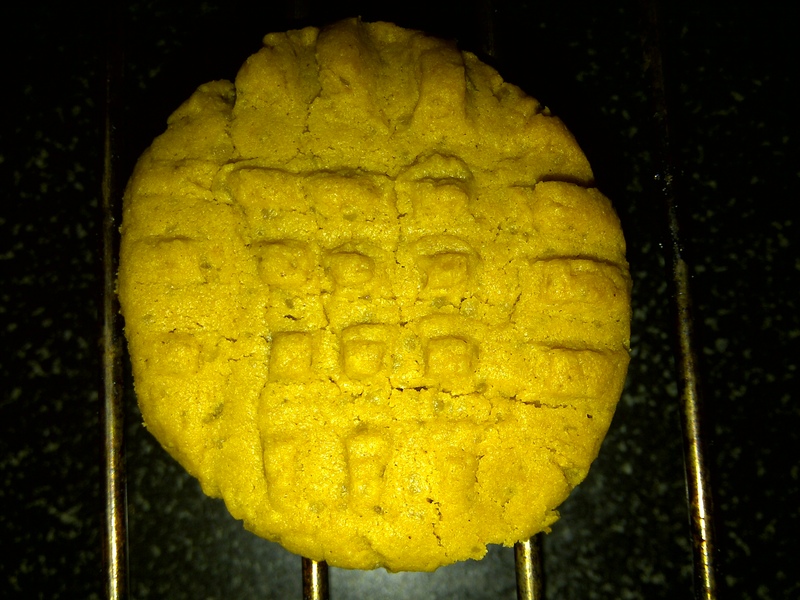 I opened the book and I found two recipes that looked exciting – snickerdoodle cookies and peanut butter cookies. 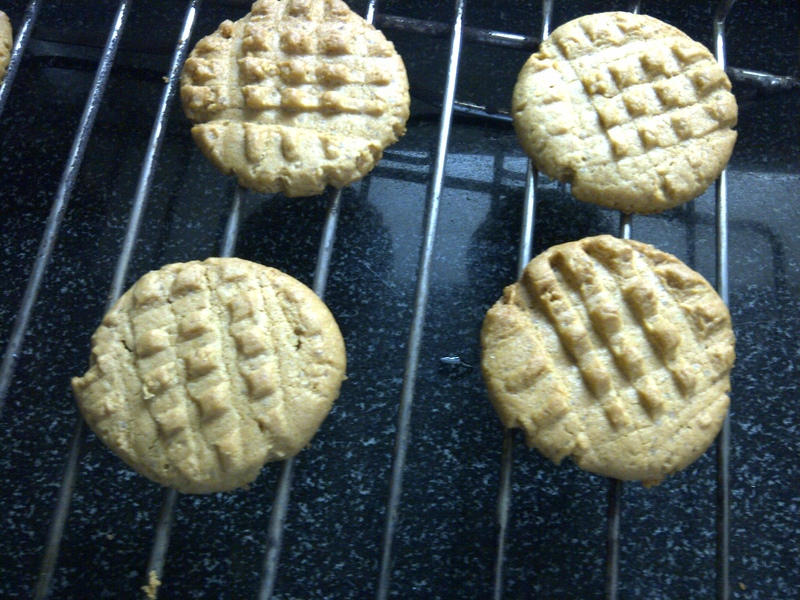 I like peanut butter more for sure and decided to go ahead and bake the peanut butter cookies. Simple ingredients, all of which I had at home, and it just took me 20 minutes to get the dough ready. These cookies will fill your house with a wonderful peanut butter/vanilla fragrance and that in itself are mood elevators! They are super buttery and melt in your mouth. They felt more like biscuits than cookies since they were quite crisp and I think that cookies are ALWAYS supposed to be chewy (and have chocolate in them!:)!) I thought they were perfect for my mood and were very quick to make! Lightly beat the egg and vanilla in a separate bowl and slowly add the mixture to the butter and sugar mixture. Next add the peanut butter to the wet mixture and mix it thoroughly. Incorporate the dry ingredients with the wet ingredients and fold it in with a wooden spoon. If using peanuts, add them to the mix at this stage. Refrigerate the dough for at least 30 minutes to allow it to firm up. Roll the dough into small balls and flatten gently with a fork. You should get a slightly raised lines pattern. Ensure biscuits are at least 2 inches apart. Bake the biscuits for 15-20 minutes or until golden brown. Once done remove from the oven and allow to cool on the sheet for 5 minutes. After they have cooled slightly, gently transfer them to a wire rack and allow to cool completely. That’s all! In about an hour and half you should be all ready with your delicious biscuits. I can tell you they taste great with coffee and definitely make you feel better!